Make yourself comfortable in your air-conditioned apartment, which features an LCD TV. There's a private balcony. Cable television is provided for your entertainment. Conveniences include a separate sitting area and an electric kettle, and housekeeping is provided on request. 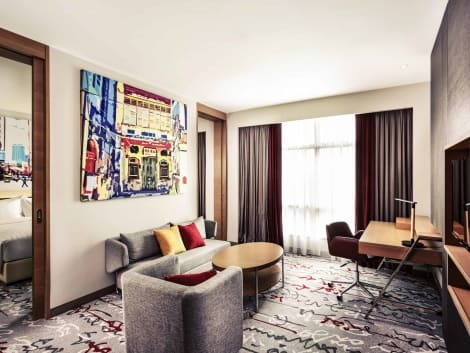 With a stay at Connect Service Suite at Times Square in Kuala Lumpur, you'll be just steps from Berjaya Times Square and 7 minutes by foot from Sungei Wang Plaza. This guesthouse is 0.4 mi (0.6 km) from Lot 10 Shopping Centre and 0.4 mi (0.7 km) from Jalan Alor.